Newcastle Dentists; Paul Beath Dental find that the most common causes of dental injuries include falling over, being hit in the face or having some kind of accident while playing sport. It is also possible to injure or break a tooth by eating something hard. damage to your tooth’s roots. What to do if a tooth or mouth injury occurs? Don’t attempt to replace a baby tooth if it is knocked out. Your dentist will leave the space until a new, permanent tooth grows. Do not attempt to reposition a baby tooth if it is knocked out of position, doing this could cause damage to tooth underneath. If an adult tooth has been knocked out, don’t throw it away. Handle the tooth very carefully – it is best to hold it by the crown or white part of the tooth. Don’t touch the root. Don’t scrub the tooth at all or rinse it with water. If the tooth has dirt on it, gently rinse it in milk. If milk is not available use saliva or a sterile saline solution (available from pharmacies). If you are able to, push the tooth back into the socket it came from. Do this gently until you hear a click, or the tooth is level with the other teeth. Then bite down gently on a clean cloth while travelling to the dentist for further assessment. In case it’s not possible to put your tooth back in, place it in contact lens saline solution or milk immediately and go to the dentist, taking your tooth with you. If milk or sterile saline solution are not available, put the tooth very carefully in your mouth between your cheek and gum and go to the dentist. Be very careful not to swallow your tooth. You can also use plastic wrap to protect the tooth. Spit some saliva into the plastic before wrapping the tooth. Do not place your tooth in water as this can damage the tooth’s delicate cells. If parts of your tooth have broken off, these should be placed in milk or a sterile saline solution and taken to your dentist. If you have swelling, try using a cold compress against the side of your face to relieve pain and reduce the swelling. Wrap an ice pack in a cloth before placing it against your skin. Apply pressure over the area with a pad made from a clean, rolled-up, cotton handkerchief (or other clean cloth), which has been slightly dampened with clean water. Keep this pad in place for 15 minutes without removing it. Check to see if the bleeding has stopped. If not, repeat the process and keep the pad in place until you are seen by a healthcare professional. If you or the person affected is in pain, get advice on pain relief medicines you can take. The team of Newcastle dentists at Paul Beath Dental are highly trained and experienced in managing dental trauma. Immediate treatment for dental trauma is not always necessary but immediate advice is, please call us on 4961 6300 if dental trauma does occur. If you or a loved one is engaging in a sporting activity that involves high impact, it is important to always wear an up to date custom made mouthguard. 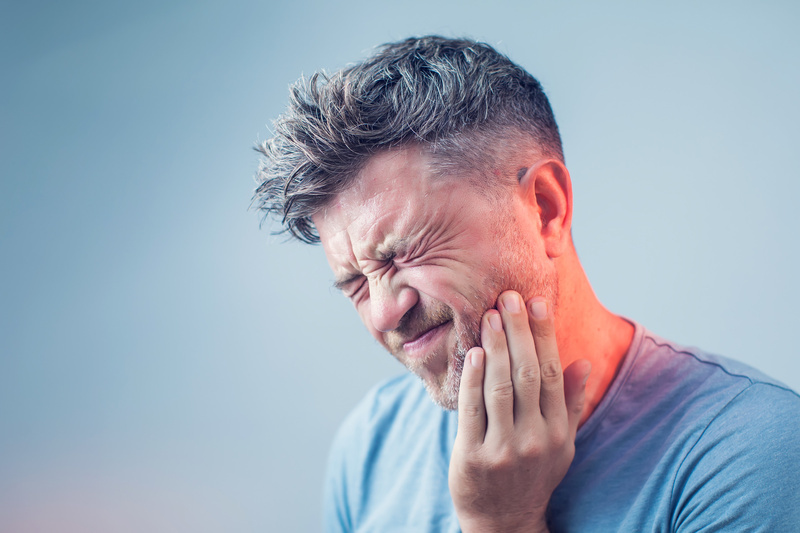 Unfortunately, accidents can and do occur, but you can rest assured with Paul Beath Dental that if dental trauma does occur to you or a loved one, we will do everything we can to support you and get you back smiling again quickly. Our team will accommodate same day emergency treatment as required wherever possible.